What s not to love about olives, pretty much any kind of olive? 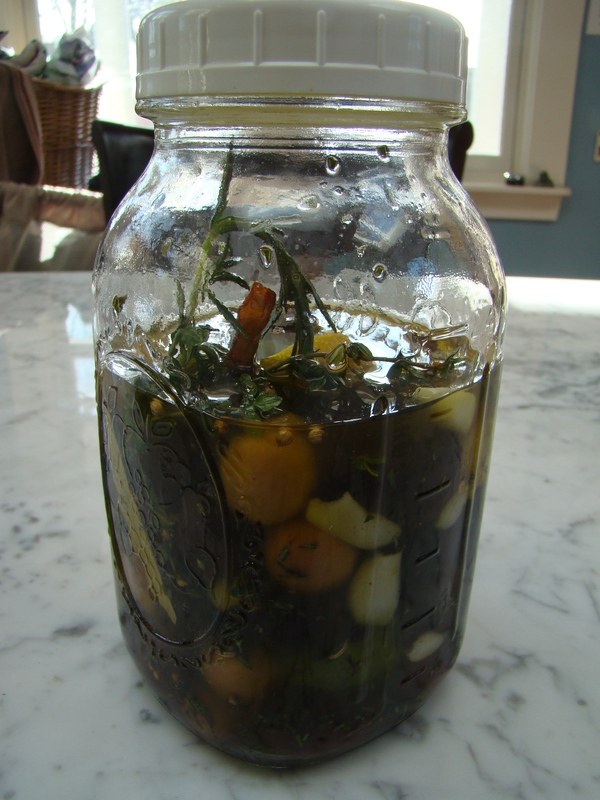 This week’s recipe for French Fridays with Dorie was a simple little gem, Herbed Olives. The hardest thing is waiting a few days to let the flavors permeate the olives before sampling them. Our Thanksgiving holiday was a little topsy-turvy. Yesterday, we enjoyed dinner with one set of friends and dessert with another, not necessarily in that order… It was a day filled with good company, good conversation, and good food. A lovely day! Today, we ate our own turkey with the usual fixings so can have leftovers. Howard prepared it in an interesting way, more on that this weekend. So, back to the olives. This recipe was a good excuse to take a trip to the Middle Eastern markets in Watertown, a town with a large Armenian population. There is a stretch of grocery stores and bakeries filled with Middle Eastern treats. 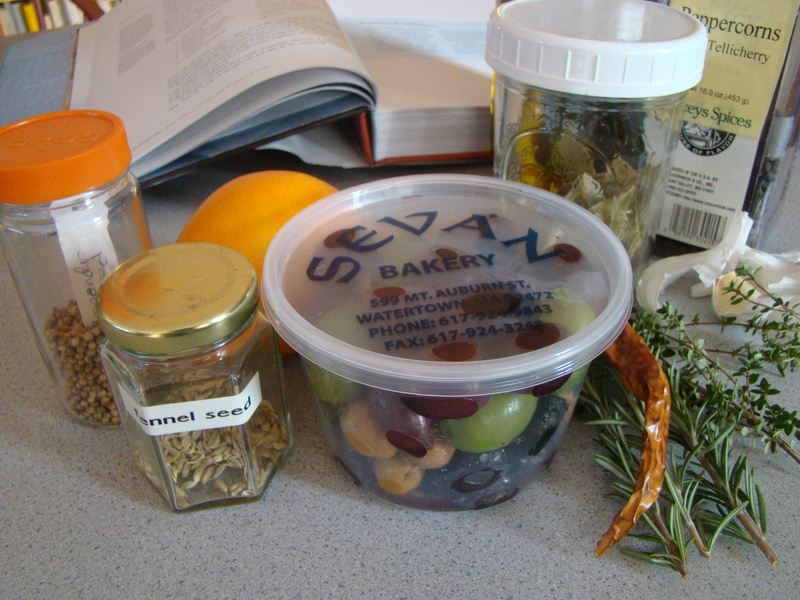 I stopped at Sevan Bakery, where they have an “olive bar” where you can fill a container with whatever varieties you choose. They offered many colors and sizes of plain olives that I could flavor myself. 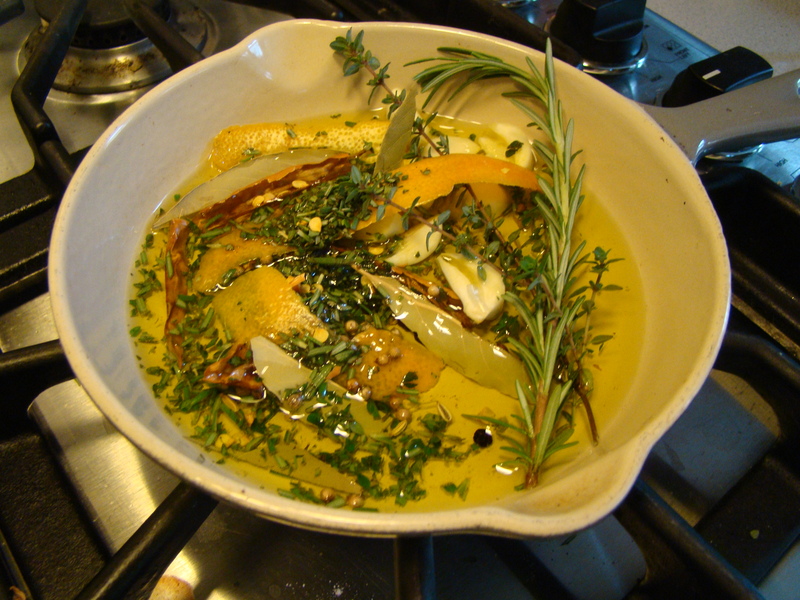 To flavor the olives, lots of herbs and spices along with orange rind and chili pepper are warmed in extra virgin olive oil to bring out the fragrance. It smelled fantastic! Then the oil is poured over the olives. More oil is added to completely submerge the olives. Then, I let the olives steep for several days. I served these olives as part of a relish plate along with sweet gherkins and chopped liver pâté made from the turkey’s liver. 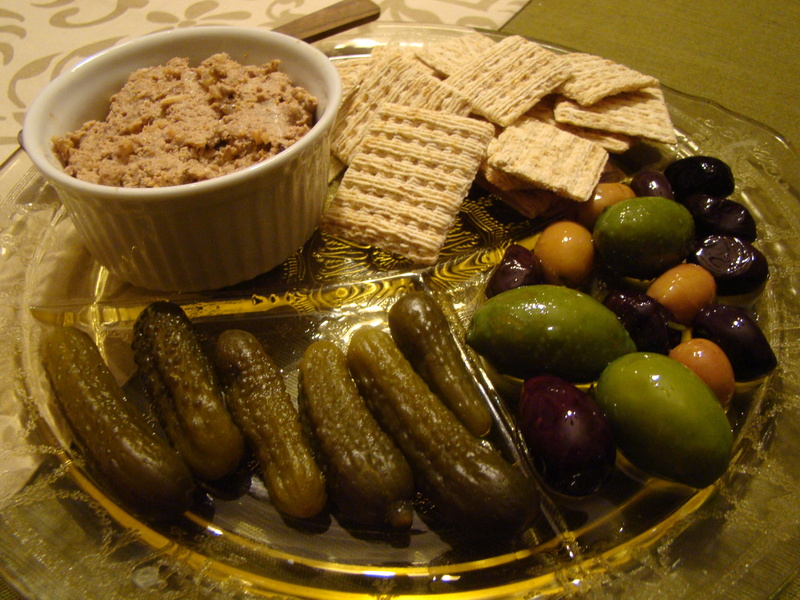 The olives are a perfect nibble with a glass of wine while finalizing your turkey dinner. They’d be great for a non-holiday dinner as well. We don’t post the recipes, but you can find it in Dorie Greenspan’s book Around My French Table. To see how the other bloggers made out with their olives, you can follow their links here to read all about it.